How Do I print images or documents directly from my Samsung Galaxy Tab?A? 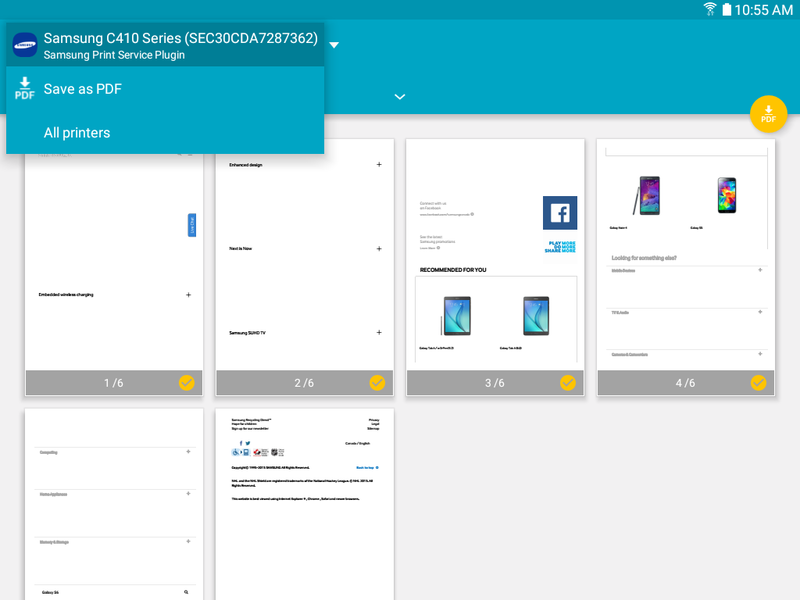 Print images and documents to Samsung printers and other compatible printers (not included). 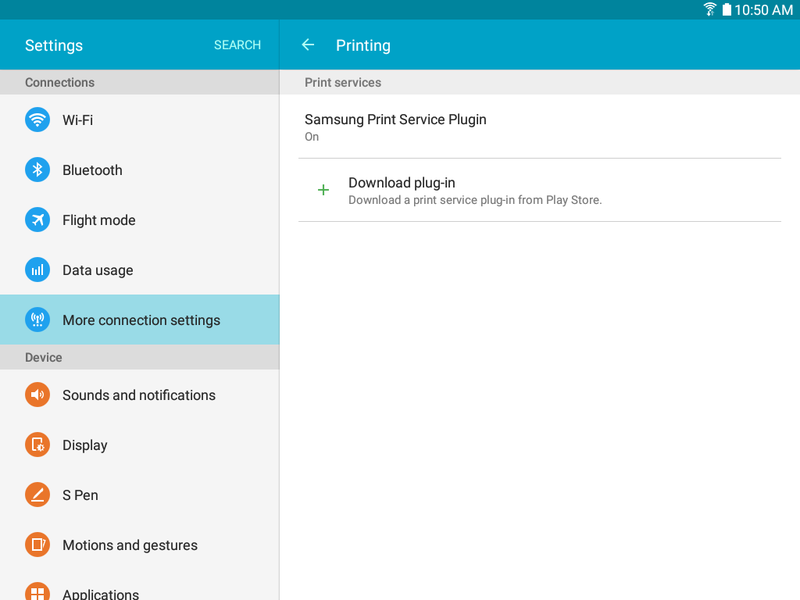 The print function, available as a menu option within some applications, lets you print directly from your device to a printer on the same Wi-Fi® network. Note: Some printers may not be supported. 1. From a Home screen, touch Apps > Settings . 2. 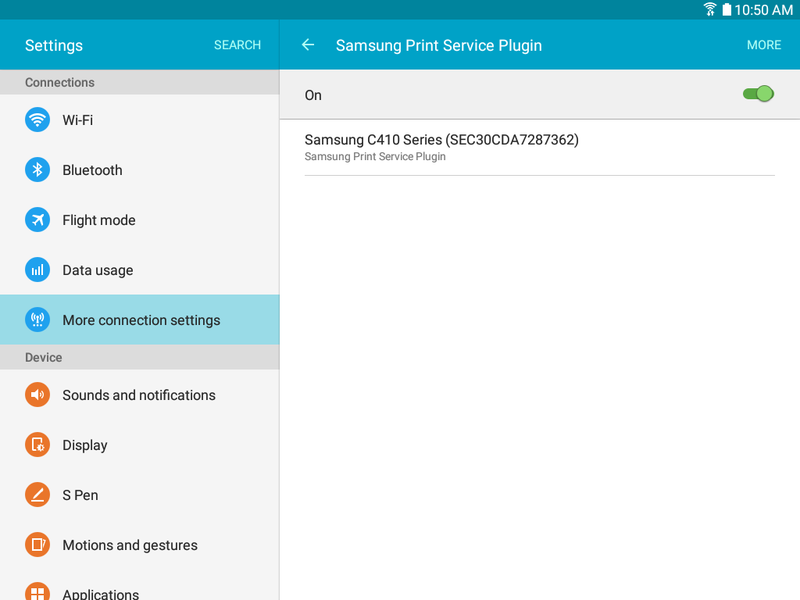 Touch More connection settings > Printing. 3. Touch a print service and follow the prompts. 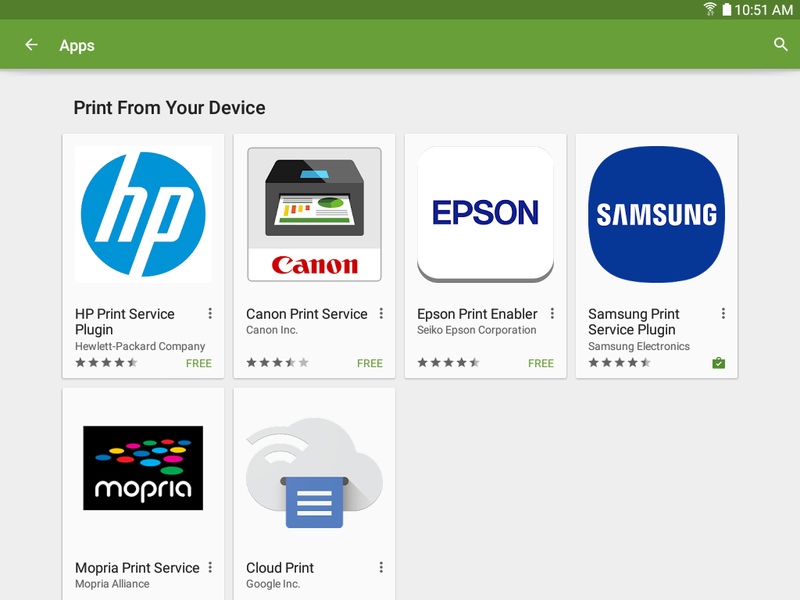 Note: Touch Download plug-in to install additional print service drivers. 1. 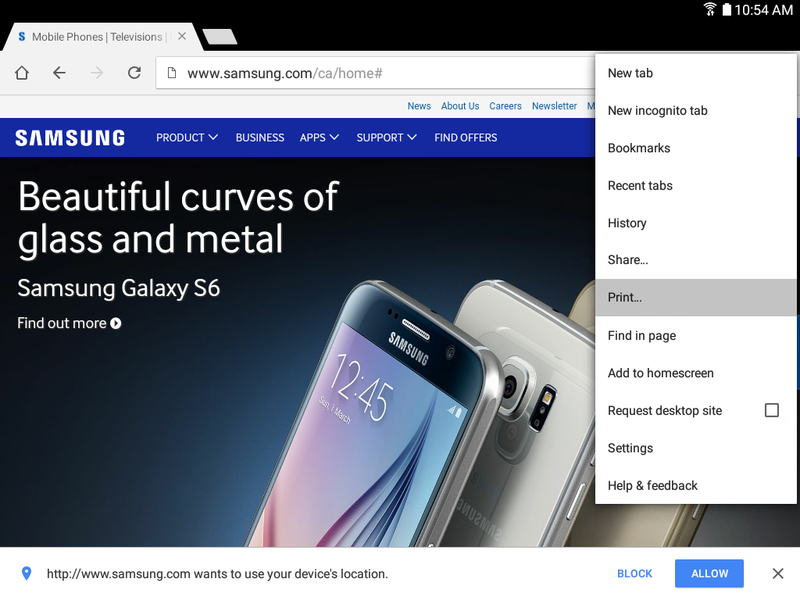 From a compatible app such as the Chrome, select an image and touch More Options > PRINT. 2. The default is set to Save as PDF, change it to the available printer on the device then touch the printing icon. How Do I insert a SIM card into my Samsung Galaxy Tab?S 8.4?